Join Co.Design's Mark Wilson on Friday, September 27th at 1pm for a Q&A with Hartmut Esslinger--part of our sprint to the Innovation By Design Conference on Oct 2nd. Join Co.Design's Mark Wilson on Friday, September 27th at 1pm E.T. for a Q&A with Hartmut Esslinger--part of our sprint to the Innovation By Design Conference on Oct 2nd. How do you introduce a man who needs no introduction? 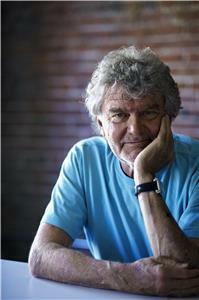 Hartmut Esslinger is the founder of Frog Design. He's probably best known for dominating industrial design during the rise of consumer electronics, a run that began by defining Sony's presence in the 70s, before working with Steve Jobs to create Apple's famous "Snow White" design language and, later, the NeXT Computer. Esslinger is also an author of several books, including the recent Keep It Simple-The Early Design Years of Apple. Today, he's here to talk about everything from his own landmark designs to where our electronics are headed next to, sure, maybe even a bit about Apple's wonder years. You can start submitting your questions ahead of time by using the "Make a comment" box below! And my follow up to that would be--based upon what you've said today about risk-taking and the role of designers embracing technology--are we already to that time? i never divided design - for me it is simple: create artificial objects, solutions and experiences for humans based upon realistic use of resources > goes all the way to ecology. To split design into "disciplines" - e.g. interaction or graphic design - makes some professional sense, however, the goal is a holistic one. now: the current focus on "digital design" is a bit of a dead-end, because more and more of UI, UX etc. will become automated and mediocre talent will lose their jobs. my goal always has been - in frog and as a teacher - that real designers are universalists. Alright, we're about out of time. So let's take one last audience question. What was Steve Jobs's unique contribution to design? Steve Jobs respected creativity and accepted the risks coming with it. He also was one of the few people i worked with, who saw the true power of design: win people's hearts - and their minds along with it. The more complex story is too long for this format, but why not: read my new book "Keep it Simple" ? My motivation was to provide an authentic record of a professional partnership between us right-brainers with rational left-brainers. Steve was a more rational leader, but he could live with the ambiguity of a risky creative journey - for me personally, he was the greatest in the history of modern industry and business (also think of PIXAR): in the end culture wins over money. Fantastic. Hartmut, thanks again for joining us today!